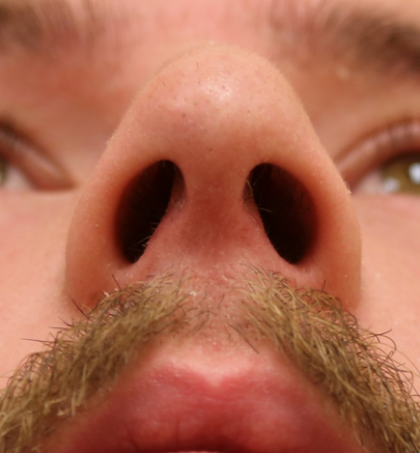 This patient underwent a septoplasty in order to repair a deviated septum that was obstructing his breathing. 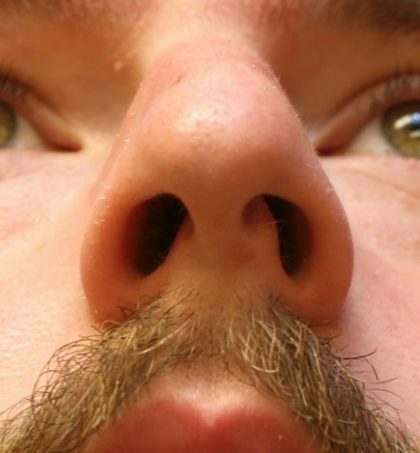 This patient, in particular, has a caudal septal deviation in which his septum juts into his left nasal cavity and deviates his nasal tip towards his left side. This repair requires advanced rhinoplasty techniques to correct.